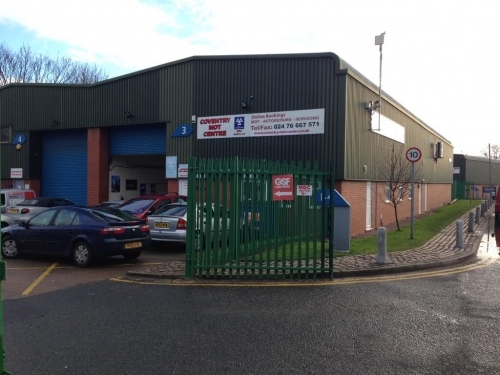 At Coventry MOT Centre we specialize in MOTâ€™s & MOT repairs, servicing all makes and models, petrol and diesel and specialise in cambelt/ timing belt replacement. If you have any MOT related questions simply call Coventry MOT Centre for advice. Book a Service with your MOT and save time and money!! It's cheaper for us to carry out a Service and MOT at the same time – so it makes sense for us to make it cheaper for you! Book an interim, full or major service and save money today! Car Servicing - save up to 50% on main dealer pricing!! We are offering great discounts on our car servicing - you can save up to 50% on main dealer service prices, even though our services are the same, and in many cases even more thorough than that of a dealership! We cover all makes and models with a fast, efficient and friendly service. We offer miner and major services for a great value rates, with a loyal customer base who come back year after year. We specialise in cambelt/timing belt replacement for all vehicles makes and models from compact cars to camper vans, completed same day. For your convenience we can offer free local collection and delivery. We use high quality parts that fully meet warranty standards but at a fraction of the cost of main dealer prices. Every part used is covered by a 1 year warranty, whilst the majority of our cambelt kits have a 2 year warranty. Contact Coventry MOT Centre for a market beating quote, secure in the knowledge that saving money does not mean compromising on quality or service. We provide a fast, friendly and efficient tyre checking, balancing and replacement service. From top brand tyres to quality part worn tyres we provide a solution for all budgets. Tyres can be checked, replaced if necessary, and balanced while you wait and enjoy a complimentary tea, coffee or hot chocolate. We do this at a price that beats all the competition! Call now to find out how competative we are! At Coventry MOT Centre we have specialists in vehicle diagnostics and programming. Using our specialist diagnostic equipment, we can perform a wide range of tests to determine the exact problem with your vehicle, ensuring that the issue is dealt with in the most cost efficient and timely way, regardless of complexity. We are not just an MOT Centre with some diagnostic equipment. At Coventry MOT Centre we have specialists in automotive electrical faults and are equipped with state-of-the-art hardware and software. You can be sure that your vehicle will be diagnosed effectively and accurately. We promise to get you back on the road as quickly and economically as possible.